Nobody has ever written a newspaper article which links George Orwell, an Economics A-level and Liverpool FC. Trust me, I’ve googled it. What you’re about to read is truly a world first. I was in a pub last Tuesday evening and overheard a group having a conversation about football. I like overhearing things in pubs, because I almost always disagree with whatever’s being said. Even when nothing particularly controversial is being discussed, I still challenge myself to find a counter-argument, such is my contrary - and my friends tell me somewhat annoying - nature. I live in an area full of Chelsea supporters, and the group sitting across the table from me were discussing their team’s chances of hanging on to top spot in the Premier League while watching their game against Southampton. The poor gentleman who made the comment I picked up on probably thought he was saying something that nobody could possibly disagree with. I missed the beginning of the conversation but tuned in just in time to hear him tell his friends confidently, I assume in relation to Chelsea’s flying start to the season and recent slip-ups: “Three points at the beginning of the season are still worth three points at the end”. They all nodded sagely, as you’d probably expect, because there’s no way you can argue with that is there? Well, let me have a go. Most teams in the Premier League now have just four or five matches remaining. This is my favourite time of the football season. It’s crunch time. Everything you’ve done up until this point is to put you in the position you’re in. The opportunity to be crowned champions, secure a top-four finish, or avoid relegation has been afforded to you as a result of what you’ve done between August and April. But in April and May you have to go and seal it. Win games when it matters most, when the trophies are handed out. When the pressure is at its most severe, can you handle it? Can you finish the job? Those are the questions dozens of teams all over England, Scotland and indeed Europe have to answer in coming weeks, and that’s why football, which is rarely boring early in the season, becomes absolutely box office in April and May. It was back in 1996, as a spotty teenager with a 'curtains' hairstyle which still makes me wince every time someone shows me a photo of myself from that era, early on in my Economics A-level class that I learned about the notion of scarcity. As individuals we tend to have unlimited wants but limited resources, so it stands to reason that the more scarce something becomes, in general, the more valuable it will also become. This relates to football because in a Premier League season, on opening day there are 38 games still available to be won and therefore 114 points left to fight for. Three points won on opening day are still worth three at the end, as the chap in the pub pointed out. But as the season draws on, the points available to be won become fewer, and therefore more scarce, which makes them proportionately more valuable than they were earlier in the season. The defeat that Liverpool (told you they were coming, do please stick around for Orwell) suffered to Crystal Palace last Sunday will have hurt a lot more than their loss to Burnley back in August. In August they had 36 matches left to make up for that slip-up - 36 chances to put right that wrong. Three points lost, but 108 still to fight for. Last Sunday there were just 15 points left to play for, and Liverpool missed out on a great opportunity to take three of them. So, 20 per cent of the available points left this season were gone. Now there are just 12. 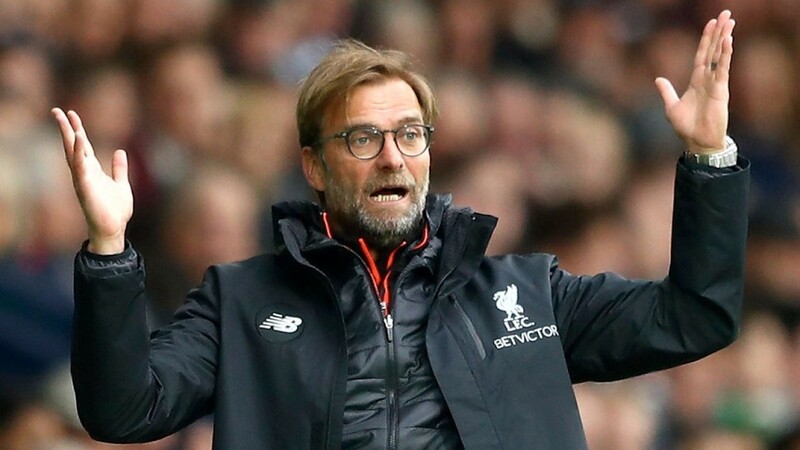 In any league, with each week that passes, the points remaining become ever more scarce, and therefore for a team like Liverpool at the moment, desperate to fend off challenges from Manchester United and Arsenal for a Champions League spot, the game at Watford on Monday becomes that bit more important, because last week it was 20 per cent of the remaining points at stake. This week it’s 25 per cent. In George Orwell’s Animal Farm, when the pigs took control, they changed one of the original seven commandments from “All animals are equal” to “All animals are equal but some are more equal than others”. And that quote always comes to me when I think about how, in football, points become more valuable as the number of them remaining available to be won becomes more scarce. I don’t know if Orwell was a football fan - I'd like to think he may have been a Wigan supporter - but, if he had been, perhaps he’d have coined the phrase: “All wins are equal but some wins are more equal than others”. There you have it - an article that links George Orwell, A-level economics and Liverpool FC. A world first. It’s a shame Norris McWhirter is no longer with us. Good bets appear to be thin on the ground this weekend and for the first time this season I'm sitting here having not yet had a single bet in any of the four English divisions. However, there may be one for us in Scotland, where the Ladbrokes Scottish League One playoff race is really hotting up. Alloa long since guaranteed their spot, but there are two more berths available and four teams all on 46 points fighting for them. Two of those sides meet each other at Bayview, where East Fife host Airdrie. At 11-4, the visitors may be worth an investment. They’ve lost their last two games, and with it their stranglehold on one of those two remaining playoff places, but they’ve appeared to be a shade unfortunate in both of those matches and I see no need to overreact to those defeats. The Fifers are not on any great run of form themselves, having won only one of their last seven in the league, and on a weekend where good bets seem few and far between, Airdrie are perhaps one side worth backing.